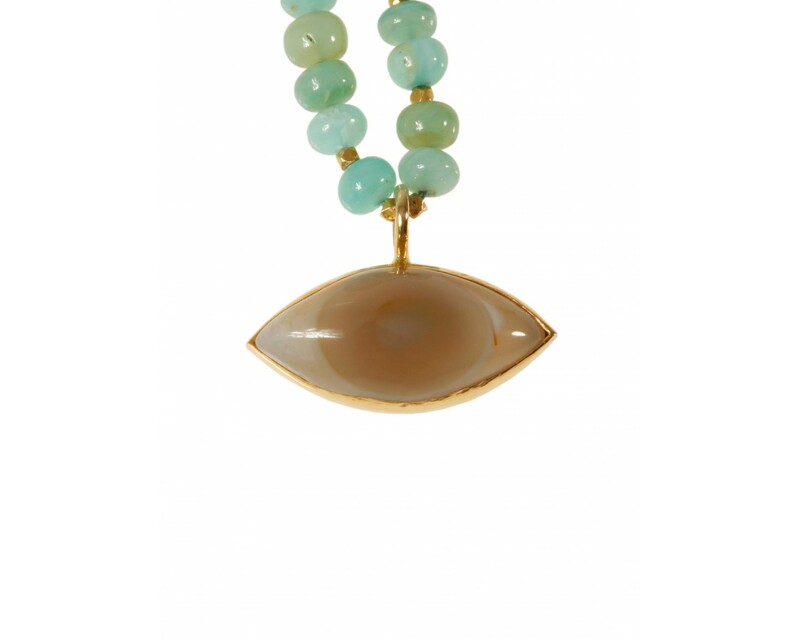 Agate Shiva's eye with Peruvian opals & 18ct yellow gold beads. 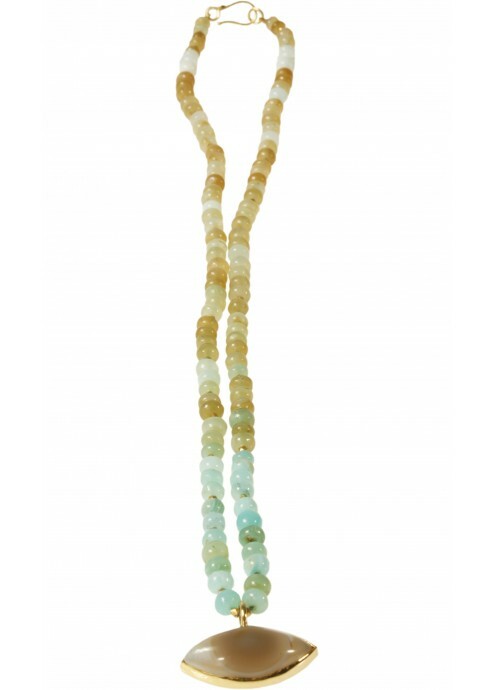 This mid-length agate Shiva eye with opals and intermittent 18ct yellow gold beads is one of our favourite necklaces. It really is a divinely pretty and is especially lovely when worn in the summer months.